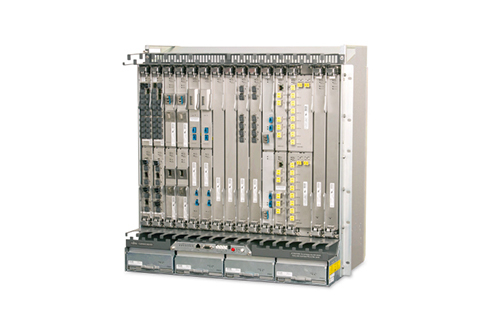 The Fujitsu Flashwave 9500 packet optical networking platform is a modular system designed to integrate a wide set of topologies and network technologies. We have seen it in action on ROADM, MEF 2.0, OTN and SONET/SDH use cases. By selecting a refurbished Fujitsu Flashwave 9500, you can reduce network expenses and improve operations while also increasing the speed at which you can deploy and manage your services. There’s no longer any need to deploy multiple networks for each technology — you get to consolidate and generate significant savings with this converged optical transport network. The 9500 series offers 99.999% availability, even in the refurbished Fujitsu Flashwave 9500 units offered by Worldwide Supply. Plus, you get industry-leading 100G optics transport technology with a simple GUI designed to make total management easy while reducing the potential for errors. Worldwide Supply offers a variety of Fujitsu Flashwave 9500 cards and equipment plus a complete Fujitsu Flashwave 9500 installation service for clients looking to grow their network. Let this packet ONP bring your network to next-gen status and expand your 100G core technology. We’ll help you with a new or used Fujitsu Flashwave 9500 to update your legacy DCS network elements thanks to high-density DS1 and DS3 interfacing. Our technicians not only guarantee the quality of the products we deliver but can also help you make the most out of your next deployment. Contact us to learn more about maintenance, repairs and complete Fujitsu Flashwave 9500 installation options.